You don’t know me but I feel compelled to reach out to you. I want to apologize to you about that awful billboard. A county health department was wrong to put it up. Perhaps you drove by it. Or saw it on social media. I’m sorry. I’m so sorry that you are being told you can only take control of your future by rejecting motherhood, by aborting the innocent life growing within. 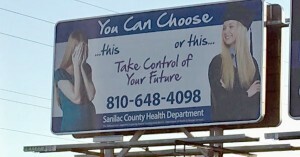 I am sorry that the pregnant woman on the left looks destroyed while the college grad on the right glows with pride, implying that there is only one true path to success. That’s a false narrative that builds on fear. It’s meant to scare you into believing that a pregnancy will totally ruin your future. And I want to tell you, from personal experience, that’s just not true. 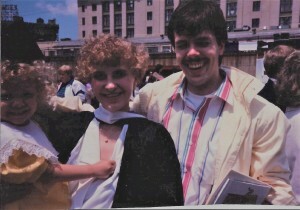 I was overcome with anxiety and uncertainty when I found out I was pregnant my freshman year. The campus doctor urged an abortion. In her mind, I would be a fool to trash a good scholarship at a prestigious university. As the billboard depicts, she saw only one path, and gave me only one choice. I’m sure she considered herself compassionate, even empowering. She wasn’t. I wish I could meet her now. I want to show her MY billboard. I want to show her my husband, five children, three grandchildren, and my Master’s Degree. And I want to tell her I have no regrets about walking out of her office that day with a baby girl growing in my 18 year old belly, transferring to a school back home, and graduating four years later. I want to tell her a baby did not destroy my future, but an abortion would have. I acknowledge that the journey was not easy. Not by any means, but every sacrifice, every bump, every single hardship was so worth it. That is a story for another day. Please take note, dear sister, that you need not surrender your child’s life in exchange for a future. They are not mutually exclusive. In fact, it’s possible the child from an unexpected pregnancy will add a brightness to your future that you could never have envisioned. The best paths to a successful and meaningful life are those that honor the sacredness and dignity of life. Don’t let a misguided billboard, a campus doctor, or anyone fool you into thinking otherwise. 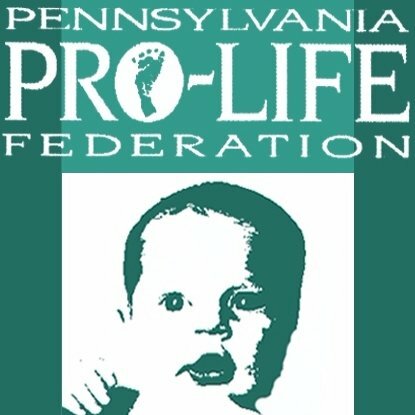 On January 18, 2019, I eagerly accepted the position of Education Director at the Pennsylvania Pro-Life Federation. My former career as a teacher coupled with my life-long advocacy of life issues led me to believe this was the job for which I had long been searching. Part-time and close to home, I could still juggle the responsibilities of family life and volunteer work. In addition, I was blessed to work with authentically kind, compassionate, and committed people with whom I felt an instant bond. The overwhelming joy I felt at this new chapter in my life was tempered, however, just three days later, when we learned that my active 82 year-old mother had pancreatic cancer. Her doctor surmised that she might live until Easter. Suddenly, everything was re-prioritized. How can I best spend these last precious months with my mom? How can I ease her pain? How can I help her and my dad, indeed all of our family, including her beloved 16 grandchildren prepare for her departure from this world? As it turns out, my mom did not have a few months. She had 18 days. We were praying with her when she peacefully drew her last breath on February 8. During her brief but intense illness, my mom endured excruciating pain, some from the cancer and some from the innumerable blood clots that riddled her entire body. At times she called out in prayer, imploring God to take her, as her loved ones sat helplessly by, shedding tears as we stroked her face and held her hand. 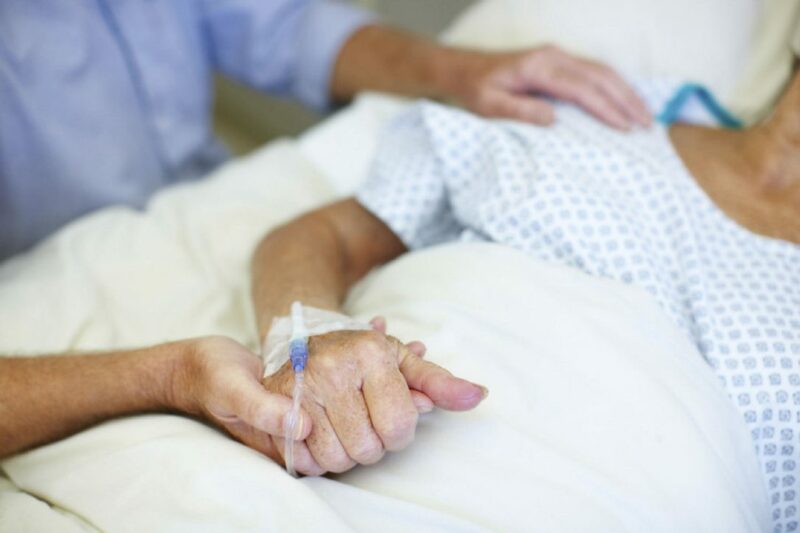 When witnessing the slow but inevitable death of a loved one, there is a dark temptation to end their pain and hasten their journey home to God through doctor-prescribed suicide. But our family and its matriarch knew that was not our call. While we sought the best palliative care for her, we knew there was a plan, a timetable, a moment long ago determined when she would transition into eternal life. And as hard as her path was to get there, we could only love her on her way as best we could. During those 18 days, my mother gave us the ultimate pro-life witness: the peaceful surrender to life’s natural course, bravely bearing her suffering, giving US comfort with her courage, patience, and steadfast faith. Such a testimony echoed a climactic moment 32 years earlier, when I returned home from college my freshman year to tell her I was pregnant. Seeing me crying in the kitchen, she became alarmed, thinking the very worst. I could hardly speak the words, but when I did, she said, “Is that ALL? I thought you were dying of cancer! A baby, we can deal with a baby!” Having lost a 16 year-old daughter in a car accident many years earlier, my mother believed that the worst thing a parent can endure is the loss of a child. 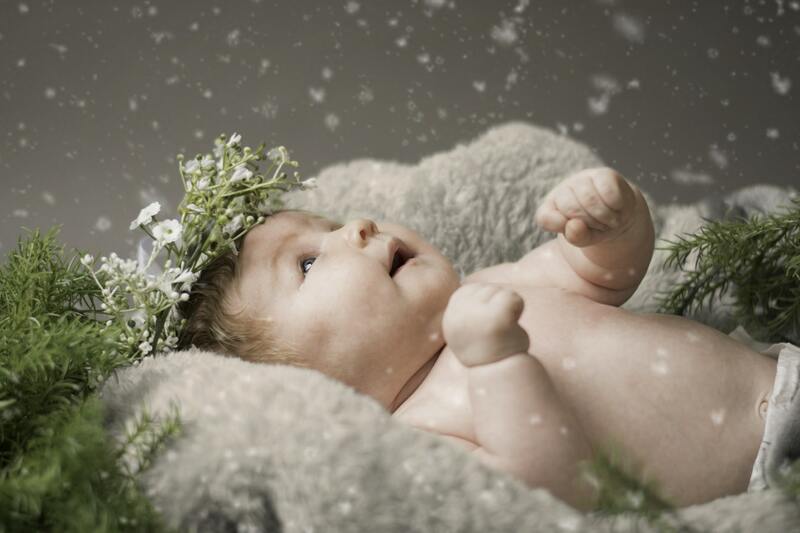 My unexpected pregnancy was not an occasion for tears, but rather a chance to joyfully welcome new life. Sadly, this lesson was reinforced all the more just a few weeks later when my brother and his wife lost their daughter, my mother’s first grandchild, to Sudden Infant Death Syndrome. We grieved the loss of baby Ashley, while treasuring the life growing within my 18 year old body. Is it any wonder that I now work for a pro-life organization, one whose mission is committed to promoting the dignity and value of human life from conception to natural death? On my last outing with my mom, just days after learning of her terminal illness, I had the opportunity to show her where I would be working. Pulling up in front of the office, I explained what I would be doing for the Federation. She was happy for me, knowing that I was honored to do such important work with such good people. She didn’t mention it to me then, but I have since learned that my mother was a financial supporter of the PA Pro-Life Federation, dating back as early as 1990, when we were all still living in Scranton. She couldn’t have foreseen me working for the Federation, but now that I am, I feel sure she is blessing our good efforts from the other side. Girl, Arise and Embrace Life! In the refreshing new book Girl, Arise, author Claire Swinarski makes the case for why the pro-life cause is pro-woman. She admits, she’s defied stereotypes as a pro-life feminist. It is the pro-life movement that bridges the gap–providing comprehensive counseling, material resources, and hope. It is in that supportive approach that lives are changed and hearts are opened. In the midst of great pain and fear, the beauty of life is recognized and celebrated. 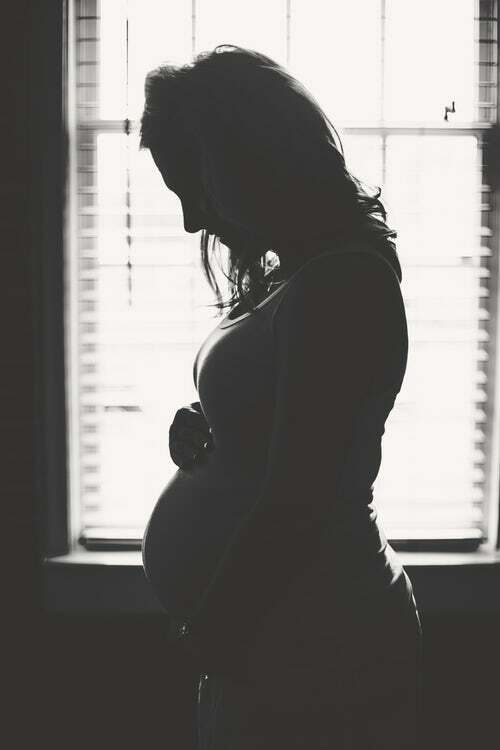 The pro-life movement supplies what is lacking in a woman’s life, allowing her to make the bold, empowering decision to give birth to her baby. It is a movement grounded in an exercise of rights–the right of a baby girl to life, and the right of a woman to give birth. In a fascinating passage in the new book Let Me Finish, former New Jersey Governor Chris Christie tells the story of how, as a candidate, Donald J. Trump remained pro-life, despite pressure from within his own camp to change his position. Christie explains that “agenda item number one (was) preparing Donald Trump for Hillary Clinton and their first of three one-on-one debates.” A large team of advisers gathered for the first prep session, including General Mike Flynn. The reaction was swift–and unapologetically pro-life. The fact is, the pro-life position is the right position–and it’s also a winning position. Candidate Trump drew a clear distinction between himself and former Secretary of State Clinton on the life issue. And he continues to fight the good fight for pro-life in what has been called the most pro-life Administration in U.S. history. How to Engage Your Pastor for LIFE! “As we walk, we must make the pledge that we shall always march ahead. We cannot turn back.”–Dr. Martin Luther King, Jr. When we think back on the history of social movements, the clergy have played an important role. We think of the soaring words of Dr. Martin Luther King, Jr., who fought courageously for the rights of African-Americans. Dr. King empowered people to take a bold step for justice in the face of tremendous prejudice. 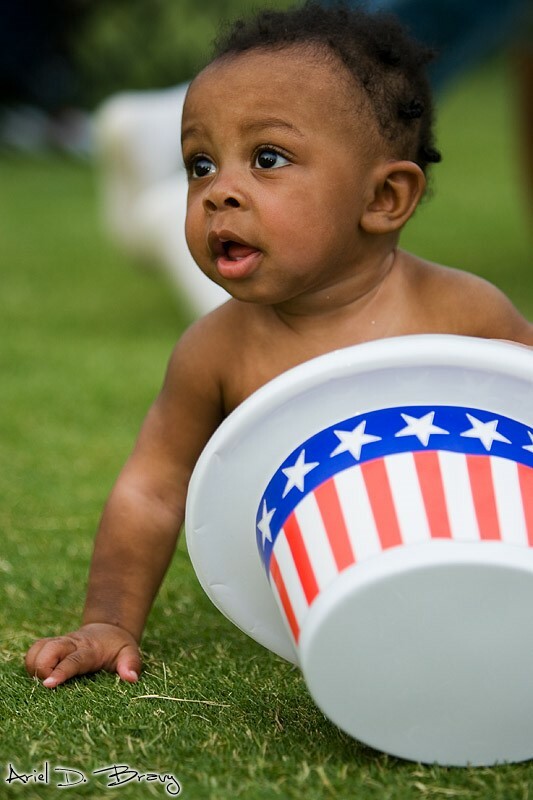 In the 21st century, the civil rights movement of our time is the pro-life movement. It seeks to honor and protect the rights of people–from the dawn of life to the twilight of life. And while we welcome people of all different faiths, or no faith at all, it is true that clergy can have a powerful impact on the success of our movement. Invite your pastor to lunch, dinner, or brunch. Share with your pastor your concerns about the protection of innocent human life. In a relaxed atmosphere, you can have a pleasant exchange of ideas for advancing the pro-life cause. Recommend resources to your pastor. Your pastor can certainly benefit from reading such online publications as National Right to Life News Today. This way, your pastor can be well-informed about emerging threats to innocent life–and peaceful, successful ways to combat them. Thank your pastor for pro-life sermons. It is important that we encourage our pastors whenever possible. Let your pastor know you support the clergy member’s life-affirming words. 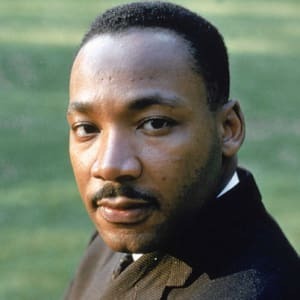 Finally, remember the inspiring rhetoric of Dr. King during his 1963 “I Have a Dream” speech: “I say to you today, my friends, so even though we face the difficulties of today and tomorrow, I still have a dream. It is a dream deeply rooted in the American dream. I had the opportunity to interview a veteran of the pro-life movement. He has been volunteering in the movement for decades, beginning when he was in college. At that time, a young woman was heading up the pro-life club at Villanova University. He was captivated by the cause and the co-ed, whom he later married. Tom has been a leader in one of the local chapters of the Pennsylvania Pro-Life Federation for years. I asked him what made him continue with the chapter’s work. He said he has been hosting chapter meetings at his house for 30 years, so it would be fairly difficult for him to excuse himself. And he doesn’t want to. Tom now works for one of the busiest pro-life pregnancy resource centers in the Commonwealth. Just in the last few years, they’ve seen the number of ultrasounds they perform for clients skyrocket. They are strategizing ways to grow even further. I happened to talk to Tom on his birthday. I asked him if he would ever retire from the pro-life movement. He said he thought he would be involved until his last breath. I am so thankful for people like Tom who are incredibly dedicated to the pro-life cause. Tom has now given most of his life to it–and he does not regret it. With people like Tom at the helm, there is no shortage of pro-life miracles that can occur. In fact, he’s met some of those miracles. He spoke of the amazing feeling of being introduced to a young person whose life has been saved with the aid of a pregnancy center. It is awe-inspiring–and it demonstrates why Tom has remained with the pro-life movement for 40 years. Here’s hoping he lives another 40! What’s in Store for 2019 on the Life Front? The March for Life is of great importance–this year and all years. The March steps out in Washington, D.C. on January 18th. Hundreds of thousands of dedicated individuals–many of them high school and college students–are expected to flood the streets of the nation’s capital in a peaceful, prayerful show of solidarity for pregnant women, babies, and fathers. Judges will still be key. 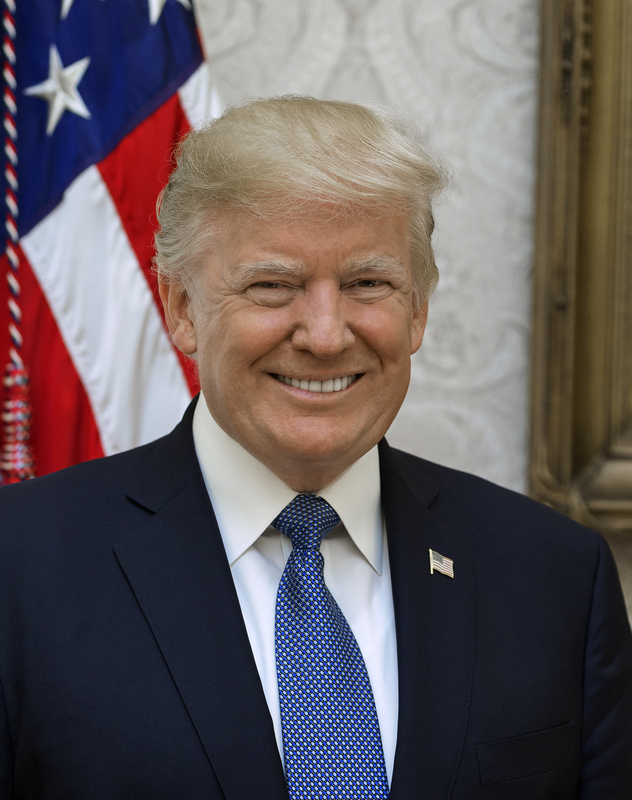 President Donald Trump has promised to nominate judges to the federal bench who will uphold the Constitution and who will not be activists, such as those who claimed a false “right” to abortion in Roe v. Wade in 1973. In Pennsylvania, voters will have the opportunity to cast ballots for judges for the Supreme Court, the Superior Court, and Commonwealth Court. Local chapters will bring the pro-life message to their communities. 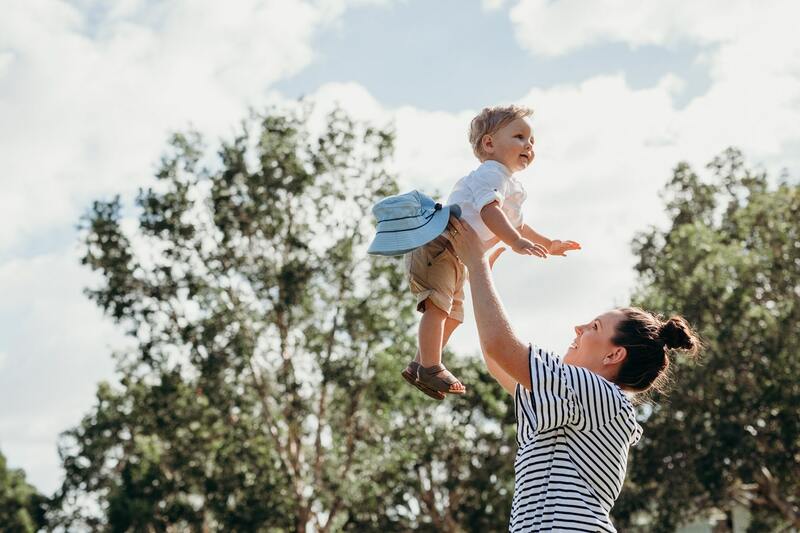 Local chapters of National Right to Life and the Pennsylvania Pro-Life Federation will be proclaiming the sanctity of innocent human life at fairs, festivals, and other events in their counties. Students will be engaged and energized through pro-life contests. Both National Right to Life and the Pennsylvania Pro-Life Federation sponsor essay contests for students. You can find details here and here. 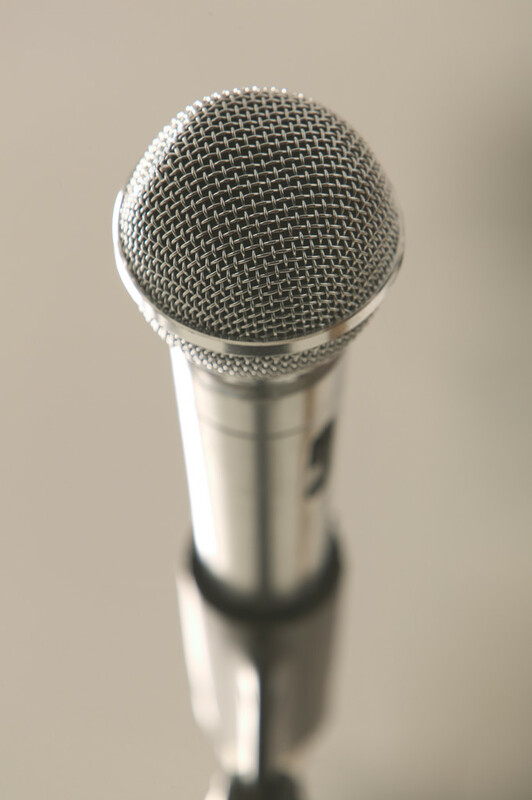 In addition, high school students can take part in the National Right to Life Oratory Contest if they have won a statewide contest, such as the Pennsylvania Pro-Life oratory competition mentioned here. Social Media will be buzzing with pro-life news and information. You can find both National Right to Life and the Pennsylvania Pro-Life Federation on Facebook, Twitter, Instagram, and Pinterest. You can also become part of the regular online discussion by sharing spectacular pro-life videos and articles with your friends and followers. 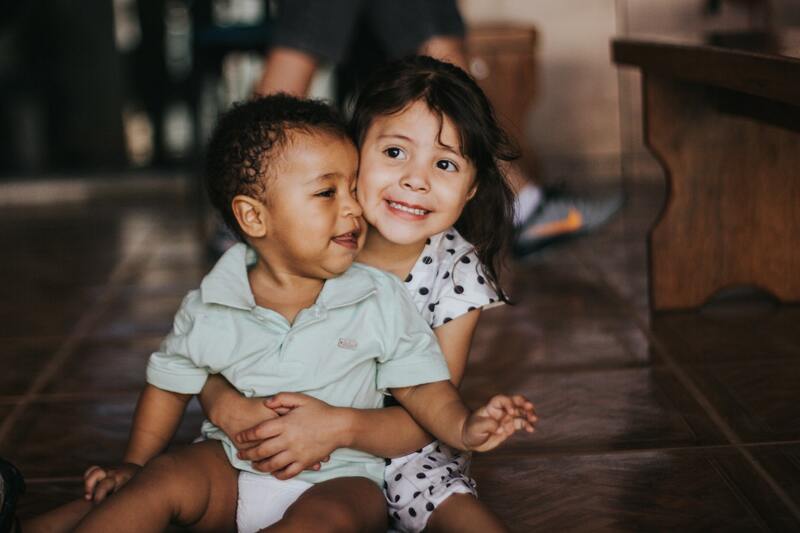 Working together, we can make 2019 a year of growth and significant accomplishment for the pro-life movement–and save lives and change hearts in the process. Happy 2019! 1. It recognizes the intrinsic worth of the most vulnerable among us. It sees beyond appearances and stereotypes and attests to the value of the preborn, the infirm, and the elderly. 2. It is filled with young people. They give heart and hope to this incredible movement. 3. It is peopled with seasoned veterans, who enrich us with their wisdom and inspire us with their perseverance. 4. It is a movement of love. It is powered and sustained by a profound love for one’s fellow man and woman. 5. It is hopeful. It sees beyond the death and destruction of Roe v. Wade and envisions an America that is abortion-free. 6. It reaches out to women and men who have suffered from abortion. It is dedicated to the principle that individuals whose lives have been shattered by the scourge of abortion can find healing and hope. 7. It is peaceful, calling for a non-violent revolution of love. 8. It is inclusive, including people of all races and nationalities. It does not discriminate based on background or ethnicity. 9. It reaches out to the poorest among us–the preborn child. 10. It is compassionate, extending friendship to people in desperate circumstances and undergoing trying times. The pro-life movement is truly one of America’s greatest treasures. I am thankful to all of you who make it so!